It’s (literally) freezing cold (-30C with wind chill factor) outside these days and we were thinking of take-out dinner options. 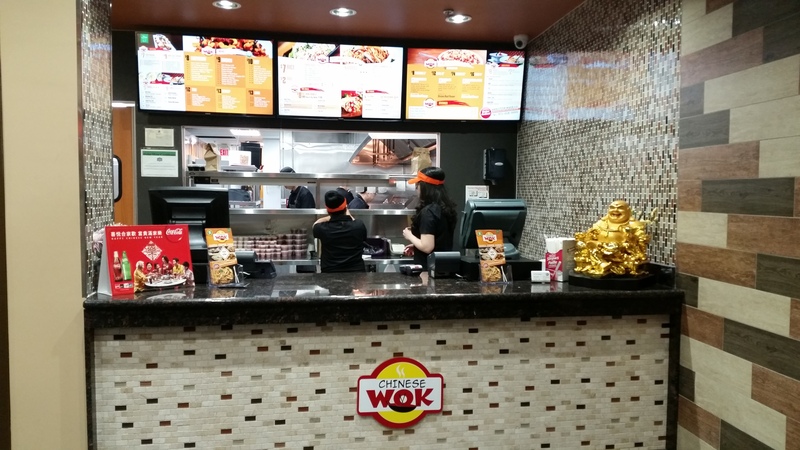 We recalled Chinese Wok, a take-out Chinese food restaurant that opened up not too long ago. 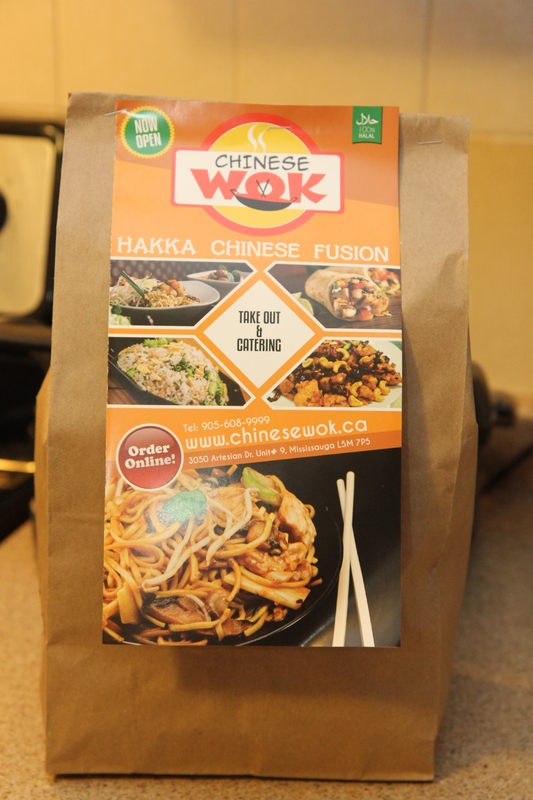 We haven’t come across many Hakka Chinese restaurants that are take-out only, so we were a little skeptical. First impression: a good inviting establishment with a modern touch (nice & clean). We liked that the kitchen was visible. The establishment had a steady stream of customers, which is always nice to see. Moving on, we found that the menu to be quite expansive and interesting; it included unique offerings such as pizzas, wraps & bowls (Hakka Chinese style of course). We only had to wait about 10 minutes or so, which wasn’t bad at all. 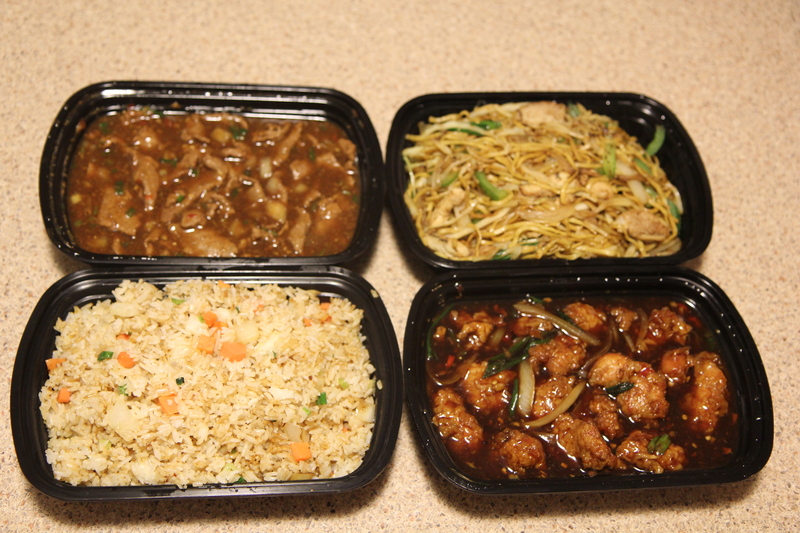 We decided to stick to the traditional choices: veg fried rice, chilli chicken, manchurian beef and hakka chicken chow mein ($38.42). We are happy to share that we enjoyed our meal. Veg fried rice and chicken chow mein were unanimous winners. One of us enjoyed chilli chicken more, whilst the other one enjoyed manchurian beef more. We have only tried a small selection of their vast menu, but are looking forward to going back for more (menu items)! The food is certainly sit-down restaurant taste & quality, which is encouraging. Since this take-out restaurant is in our neighbourhood, we see ourselves ordering take-out food from here than from Eddie’s or Asian Wok. We do feel that for the portion sizes, it’s a little pricey. Lastly, there’s a certificate indicating their meat is from Amir Quality Meats. 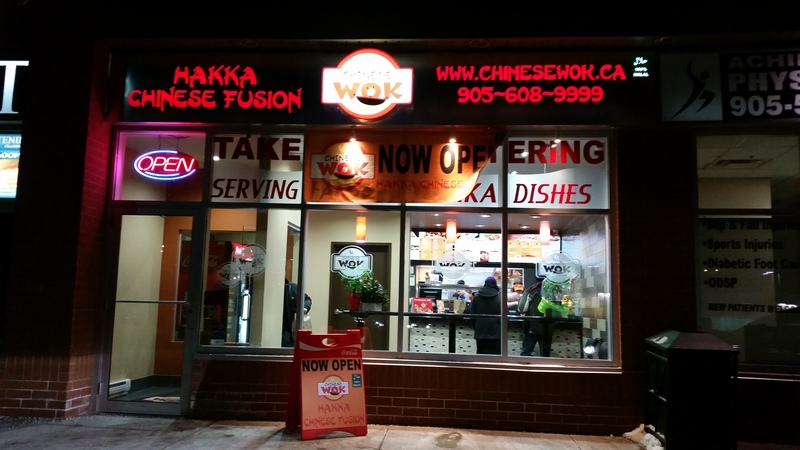 Chinese Wok is located at 3050 Artesian Drive, Unit #9 (Mississauga) and can be reached at: (905) 608-9999. Categories: Restaurant Reviews | Tags: chicken chow mein, Chiense, Chilli Chicken, Chinese Food, chow mein, churchill meadows, GTA, Hakka Chinese, Halal, Halal Chinese, Halal Food Enthusiasts, manchurian beef, Mississauga, Take-out, takeout, veg fried rice | Permalink. It’s been super cold lately and for some reason we’ve been craving muffins, blueberry to be particular. We wanted to try a different recipe, so we started searching and came across the following recipe, which turned out great! Preheat oven to 425F degrees. Spray two 12-count muffin pans with nonstick spray or line with cupcake liners (this recipe makes 14 muffins, so there will be two batches). Set aside. Make the streusel: In a small bowl, toss together the brown sugar, nuts, and cinnamon. Set aside. Make the muffins: In a medium bowl using a handheld or stand mixer fitted with a paddle attachment, beat the butter on high speed until smooth and creamy, about 1 minute. Add the granulated and brown sugars and beat on high until creamed, about 2 full minutes. Scrape down the sides and bottom of the bowl as needed. Add the eggs, yogurt, and vanilla extract. Beat on medium speed for 1 minute, then turn up to high speed until the mixture is combined and uniform in texture. Scrape down the sides and bottom of the bowl as needed. In a large bowl, toss together the flour, baking soda, baking powder, and salt. Pour the wet ingredients into the dry ingredients and slowly mix with a whisk. Add the milk, gently whisking until combined and little lumps remain. Fold in the blueberries with a wooden spoon or rubber spatula. Don’t worry if the blueberries bleed a little – my batter was purple in some spots; it looks pretty when baked. Layer in 1 Tablespoon of batter, then top with a little streusel, then more batter until the muffin tins or liners are full all the way up to the top. You want them overflowing, as shown in the photo above. Top with more streusel. Bake in batches for 5 minutes at 425F degrees, then keeping the muffins in the oven, lower the oven temperature to 350F degrees and bake for 18-21 more minutes or until a toothpick inserted in the center comes out clean. The total times these muffins take in the oven is about 23-26 minutes. Allow to briefly cool before serving. Muffins stay soft, fresh, and moist at room temperature for up to 5 days. Muffins freeze well for up to 2 months. Hope you enjoy the recipe as much as we did! 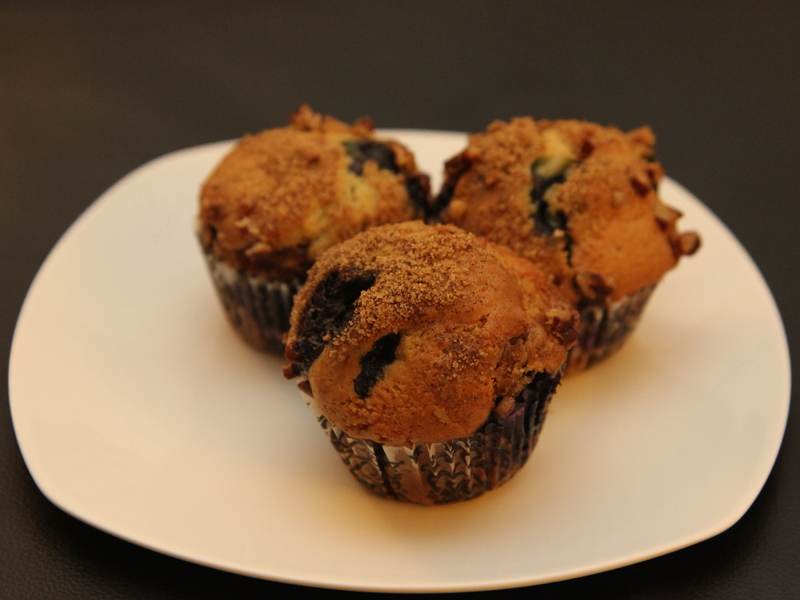 Categories: Recipes | Tags: Blueberry Streusel, Muffins | Permalink. Preheat the oven to 350F degrees. Spray 8×8 baking pan with nonstick spray. Set aside. Make the brownie layer first. In a small bowl, beat the 2 eggs together. Set aside. Melt the butter in a large microwave safe bowl in 30 second increments until melted. Stir in 1 cup sugar, 2 teaspoons vanilla extract, cocoa powder, salt, food coloring, and vinegar. Mix each of those ingredients into the batter in that order. Whisk in the eggs, then fold in the flour until completely incorporated. Do not overmix. Pour the brownie batter into prepared baking pan, leaving about 3-4 Tablespoons for the top. Make the cheesecake swirl. With a hand-held mixer on medium speed, beat the softened cream cheese, 1/4 cup sugar, egg yolk, and 1/2 teaspoon vanilla in a medium bowl until completely smooth – about 1 minute. Dollop spoonfuls of the cream cheese mixture on top of the prepared brownie batter. Cover with the last few Tablespoons of brownie batter. Glide a knife through the layers, creating a swirl pattern. Bake the brownies for 28-30 minutes or until a toothpick inserted in the middle comes out clean. Allow the brownies to cool completely before cutting into squares. Cover brownies and store at room temperature for 3 days or in the refrigerator for up to 6 days. Brownies will freeze well, up to 2 months. Thaw overnight in the refrigerator. *To double the recipe for a large batch, simply double all the ingredients and bake in a 9×13 pan for around 45 minutes – give or take. Same oven temperature. 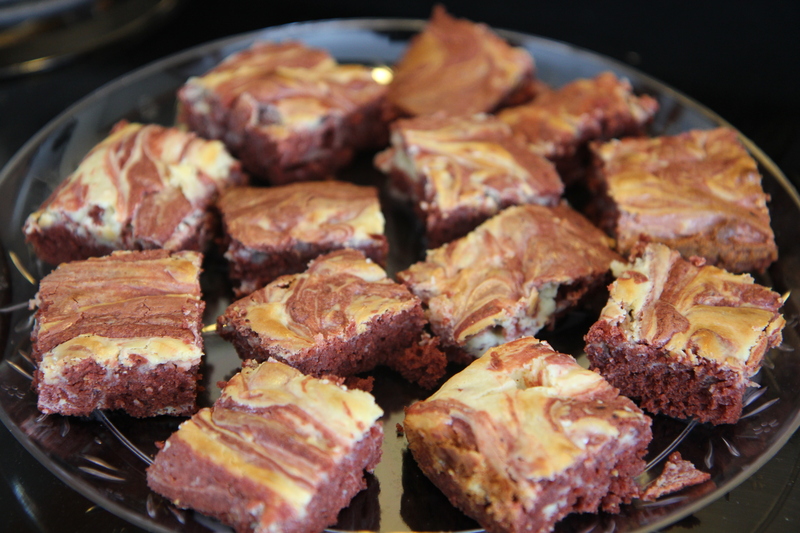 Categories: Recipes | Tags: baking, Brownies, Cheesecake, Easy Recipe, Halal, Halal Food Enthusiasts, Red Velvet, Red Velvet Cheesecake Brownies | Permalink.